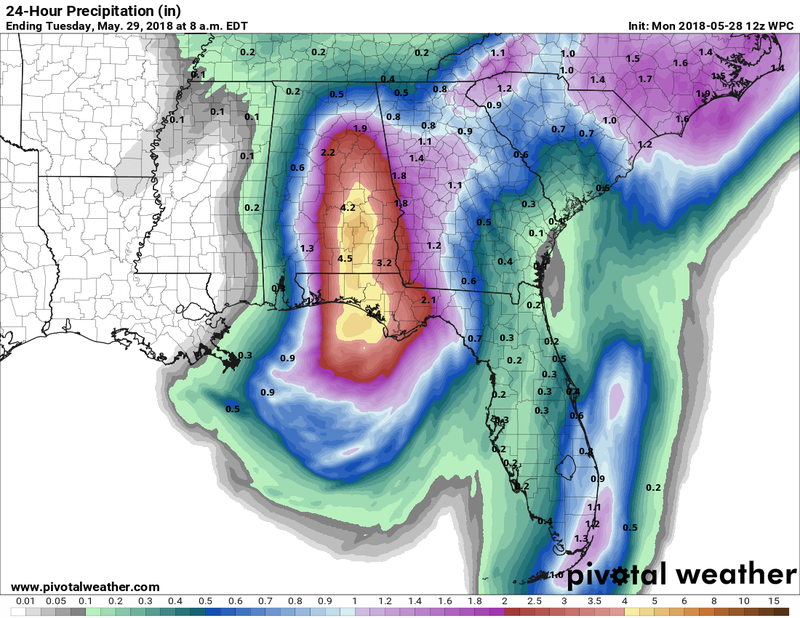 This is a handy page to bookmark, it is the NWS Southern Region "Tropical" page. About an hour's worth of steady rain just past. Just over 1" here in S.Jax. Im wondering IF..since all these storms are circling the LOW..will tonight or tomorrow morning..will all these storms be back over us down here? A secondary band popped up. Had a tad over 1" from the first batch. Guessing I'm at 1.5+ now without officially checking the gauge. on mikes weather site there is mentioning of possible tornadic activity thru central florida..no mention of it on NWS so far but...stay alert folks. Thanks for the bookmark San! Sun is out here too. I just got back from getting lunch. Lots of flooded parking lots, but the streets are fine. BillsfaninSoFla wrote: Thanks for the bookmark San! fire up the BBQ Billsfan!! 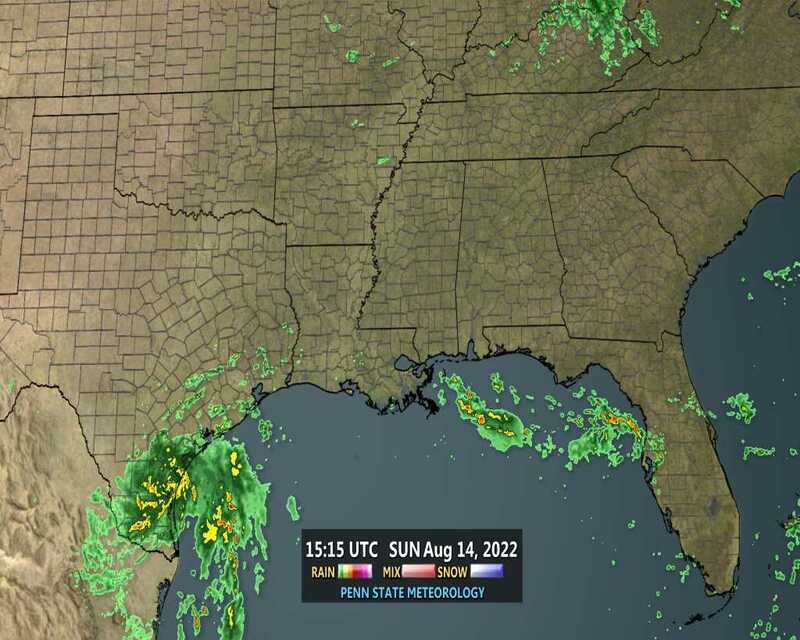 I guess we'll be getting a shower here and there tonight alot of clouds above me moving pretty good too...nws has my overnight rain chances at 51%..Aug stay safe up there..all those east coast storms heading your way..i wonder how WD and PT made out so far? Park, or 11 nm west of Tequesta, moving north at 20 knots. Those POPs % just make me laugh!! LOL san...just after 5pm here and getting pretty windy,clouds are sort of thickening, but no rain that I can see. interesting, they still have us in the possible severe storms zone (yellow)..overnight maybe?? yeah there are still more storms below Florida coming northward,stay alert folks..
well thats it for me folks..have a good night ok and stay safe out there. LOL San on the POPs. Thanks for checking in JR, hopefully you and Aug hook up. Nite Largo, Thank you for all the updates! And the coffee of course. It's still been cloudy but no rain. I have this bad feeling that June is going to feel incredibly HOT due to us being so "cool" the past few weeks. Just got an alert from Mike's weather page , Alberto moving SW and strengthing? Sure hope not. 1.65 total in S.Jax for the day, in 2 rounds. .5 back at the homestead. Ya, Bills. I'm sure we'll be in the hot/muggy zone soon, and on day 3 of this last no-rain window the skeeters and pestering flies were out in force! yes they are getting real bad here by me also ...ouch!! Good Monday Morning folks and Happy Memorial day!! remember to Thank a Vet today!! well no rain by me so far but there are some showers around I guess...yesterday i got a whopping .25 inches LOL..i guess the NHC etc didnt expect all that dry air to kill things off rain wise huh...well enjoy the Holiday folks..stay safe out there. Morning. Similar conditions here to what JR had on his S Jax visit. Dumped 1.53" from the gauge in two rounds. Looks like a typical day up here. Morning sun and perhaps some PM thunderstorms. Dry slot is large and in charge. Bills - JR and I did meet up. StAugustineFL wrote: Morning. Similar conditions here to what JR had on his S Jax visit. Dumped 1.53" from the gauge in two rounds. Looks like a typical day up here. Morning sun and perhaps some PM thunderstorms. Dry slot is large and in charge. If Jenny is lurking this effects her area. EVEN WITH HIGH FFG IN THE REGION. You bet, Bills. I took your heed last year and have 4 of them. They work wonders for sure!!! I may have to start taking one along for my walks, too. StAugustineFL wrote: Bills - JR and I did meet up. and I am in debt for a few of Tampabay's finest drafts. Good to meet you, Aug! Likewise JR. Sans (not san) the missing wallet (I always keep it under my hat in the kitchen. Since I went hat-less I forgot!) it was a good time. No reciprocation necessary but Tampa Bays finest drafts sounds good if/when I get down that way. and if that doesn't work out, Aug, you can pretty much count on me being in Jax for most of the holidays. 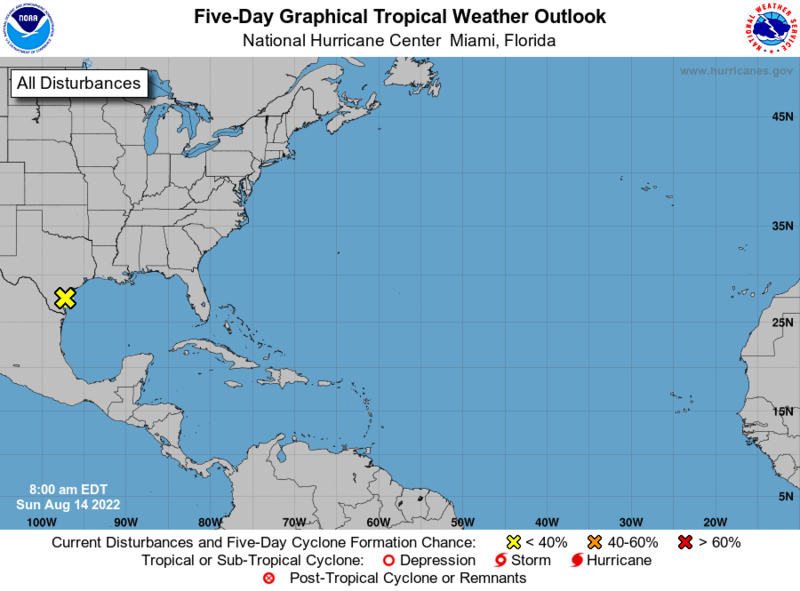 as Subtropical Storm Alberto continues to move north. gusty winds, locally heavy rains, and deadly lightning strikes. levels, and take action to protect property. to move to higher ground should flooding be observed. Hi everyone! Largo- I don't think I quite got 3 yesterday, but I've certainly had way more than my fair share .I'm guessing 14-16 inches. But I don't know for sure.